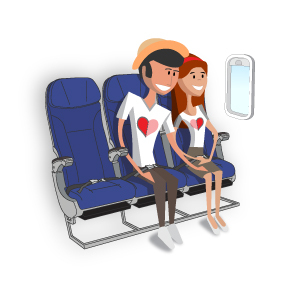 LION SEAT SELECTION is option for select seat with your family and friends or aisle and window seat with your favourite. 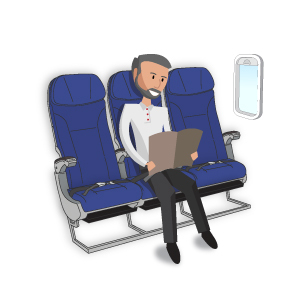 If you choose not LION SEAT SELECTION, you will still be allocated a seat number at check-in. Group Booking (more than 10 passengers with the same PNR booking) can book Lion Seat Selection, please contact call center (+662-529-9999) at least 4 hours prior departure time. Lion Seat Selection is non-refundable except schedule change or flight cancellation by Thai Lion Air only. Seat will be moved to the new flight. 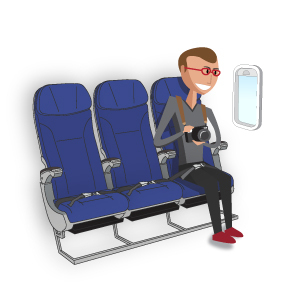 Seat may be changed if selected seat is not available on the new flight. Although, passenger can request for full refund. To confirm update flight schedule and rebook seat, passenger can contact call center (+662-529-9999). In the event of a voluntary change (i.e. a change made by passenger)change flight fee will applied following airlines terms and conditions. Lion Seat Selection will be accepted on the new flight at no additional cost (same destination only). Seat may be changed if selected seat is not available on the new flight.